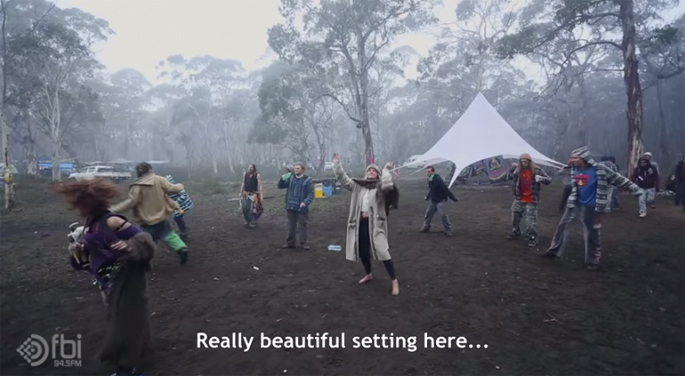 Sceno’s Subcultural Safari: Bush Doof (episode 1) : Explore Sydney’s untamed bush doof scene with SCENO’S SUBCULTURAL SAFARI. Sydney filmmaker Ivan Lentell has attempted to document this burgeoning movement in the first episode of his Sceno’s Subcultural Safari series, developed in collaboration with FBi Radio. The result is a hilarious insight into an admirably unpretentious world full of unbridled psychedelica, relentless trance music and white people with dreadlocks.